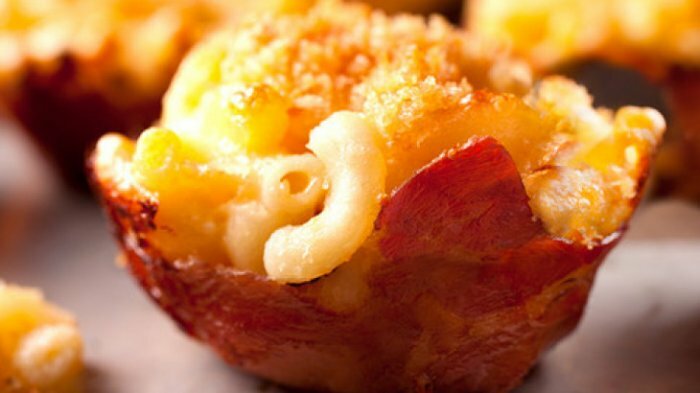 Bacon is kind of like an obsessive lover we know is bad for us, but can't reject. We don't care about the shape, we don't care about the combination, and we don't care about the health risk. As long as it's bacon, sign me up. Twice. #1 - That time it got all gooey over cinnamon rolls. 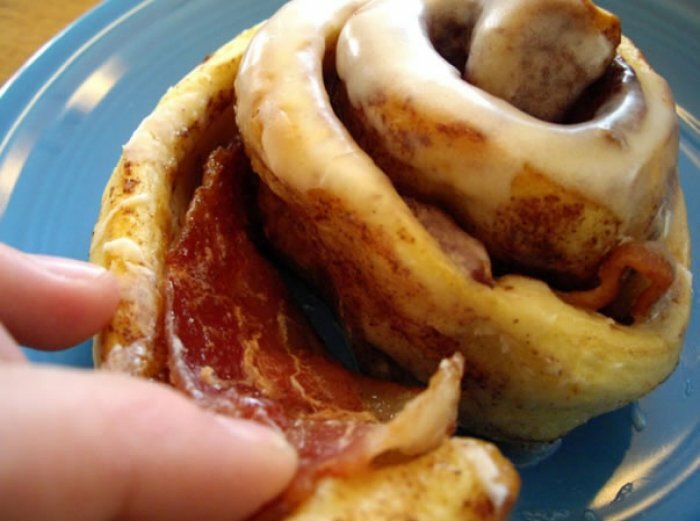 This is like a bacon-lover's fantasy and it just became real. Peeling a cinnamon roll apart is one of the best experiences on this earth. Now imagine finding bacon between the layers? #2 - That time it was breakfast in bed. 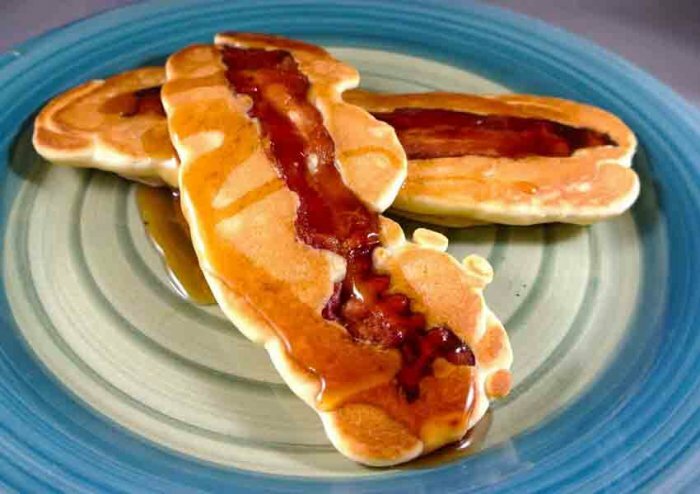 When pancakes and bacon get together, great things happen- namely, the most delicious breakfast in the entire world. #3 - That time it was a bowl and so many things became possible in your life. Edible utensils and dishes? Yes please. Edible utensils and dishes made out of bacon? Hell to the YES. Fill it with mashed potatoes, macaroni and cheese, salad? #4 - When it was too romantic for its own good. This is perhaps the single most romantic gestures the world has ever seen. 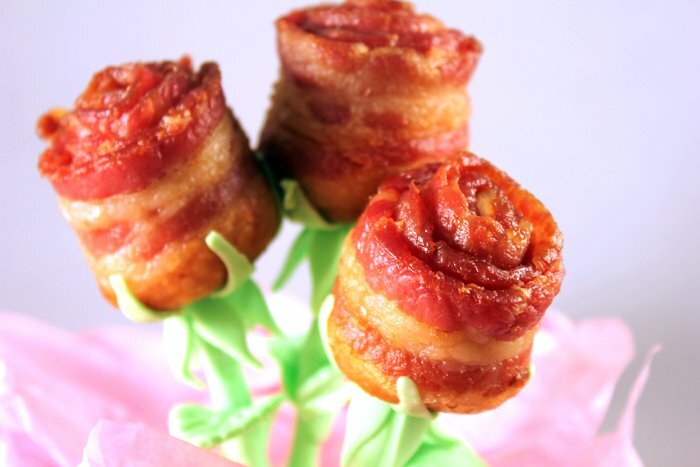 You're giddily surprised by the roses and then you have bacon to eat. If that's not perfection, I don't know what is. #5 - When it held your taco filling. Zero-carb taco shell, zero-carb taco. 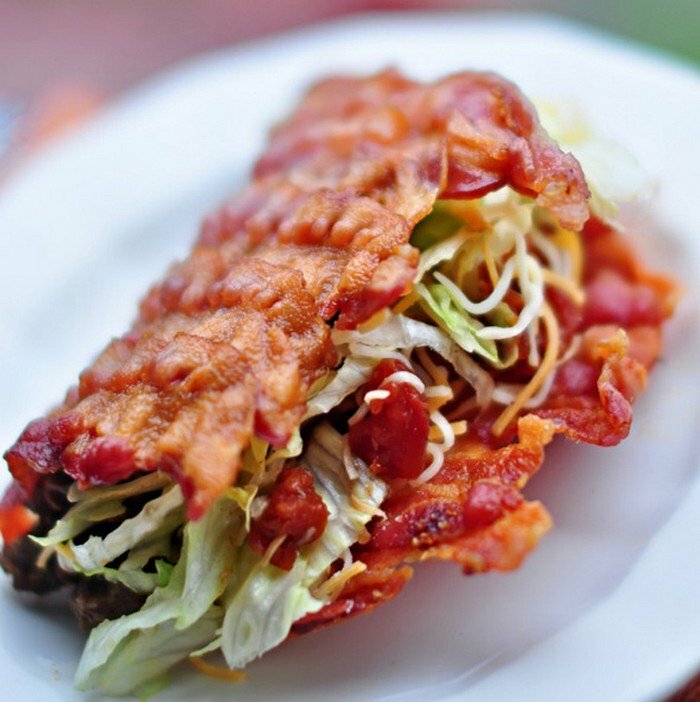 You haven't eaten a real crunchy taco until the crunch is coming from bacon. #6 - When it was the only ring you ever wanted. One ring to rule them all? That's something I understand if the ring is an onion ring, and it's coated with a nice thick layer of sizzling bacon. #7 - When it tried to be the icing on the cake and actually was. Literally and figuratively. 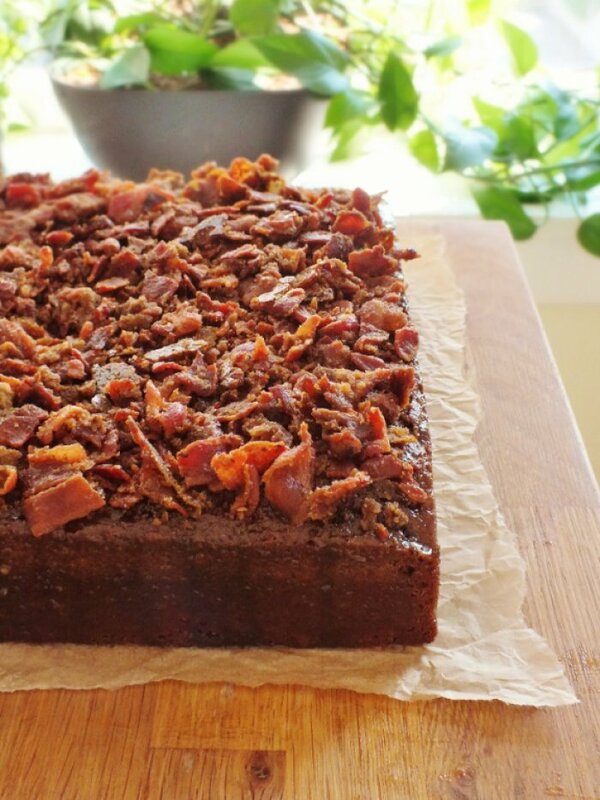 Chocolate cake, iced with bacon. Say it a couple of times- get used to the sweet and the savory. Now go out there and lose all control. #8 - That time it was fantasy girlfriend material. 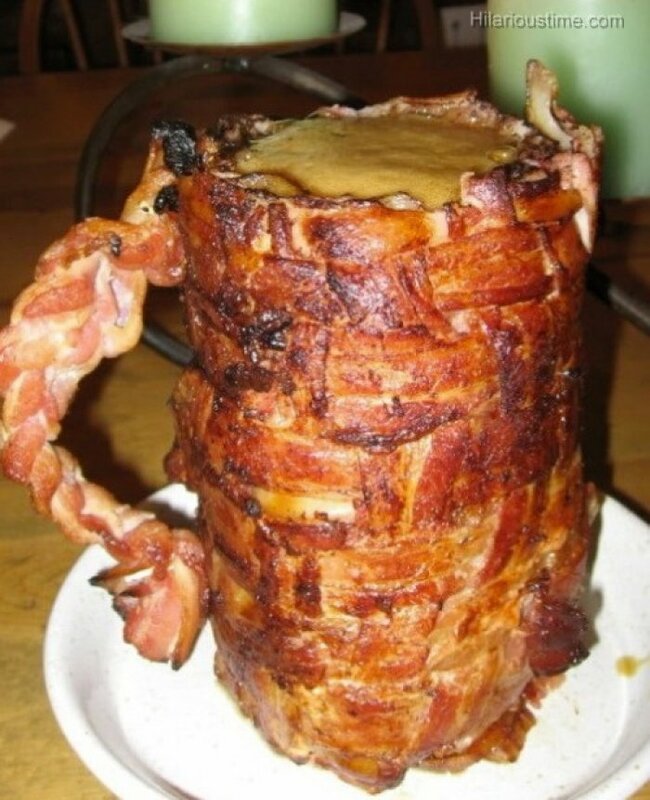 Holds your beer and then feeds you bacon? I think all the girls out there need to step their game way up. #9 - That time it posed as Mona Lisa, and you finally understood art. 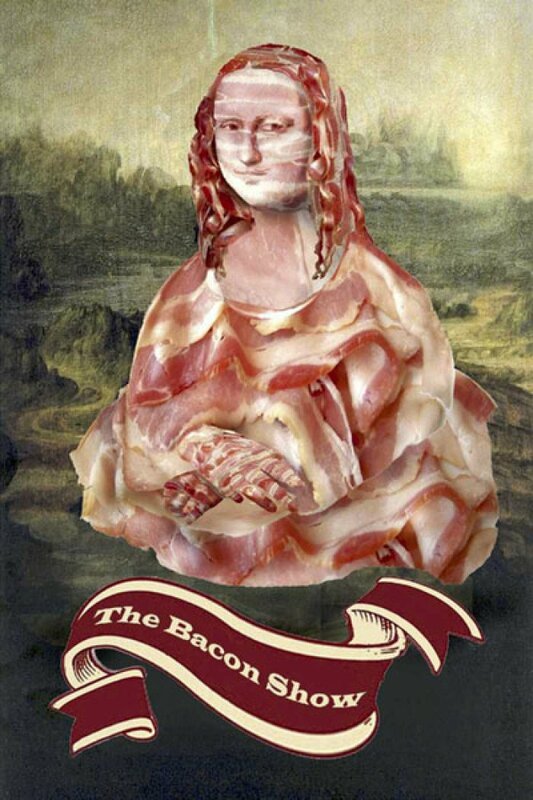 You never really understood what was so great about Mona Lisa until someone covered her in bacon. Yeah- that's definitely a smile. #10 - That time it tried to be perfect and discovered its true form. That saying "Less is more" is absolutely true when it comes to a perfect pile of crispy, crunchy, all-you-ever-wanted bacon.